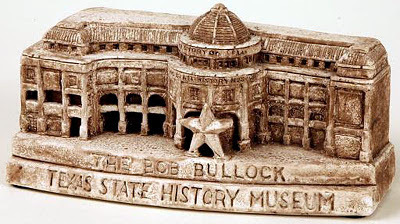 Souvenir replicas of the Texas State History Museum are available from their online gift shop. According to the site, the replica "is made of specially blended stone-like clay that has been air-dried and hand-tinted." It measures 4.5"w x 2"h x 2"d at base. 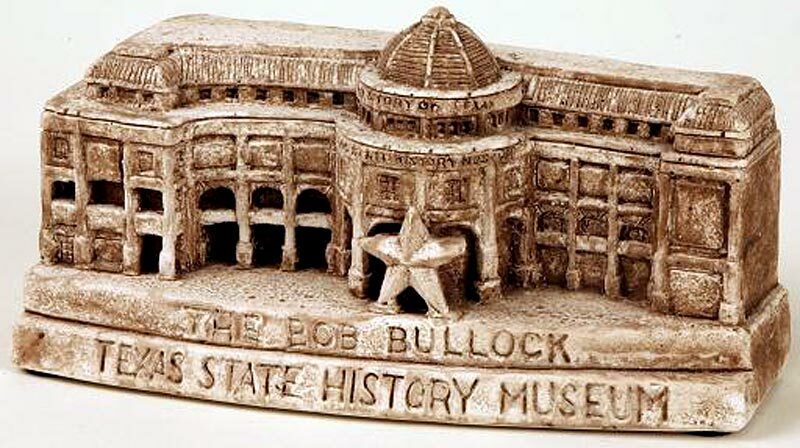 The Bob Bullock Texas State History Museum in downtown Austin, Texas, tells the “Story of Texas.” Also available from the same website are replicas of the Alamo and the Texas State Capitol building.